Recent events involving conflict between the police and citizens have generated interest in what role Congress could play in facilitating efforts to build trust between law enforcement and the people they serve while promoting effective crime reduction. 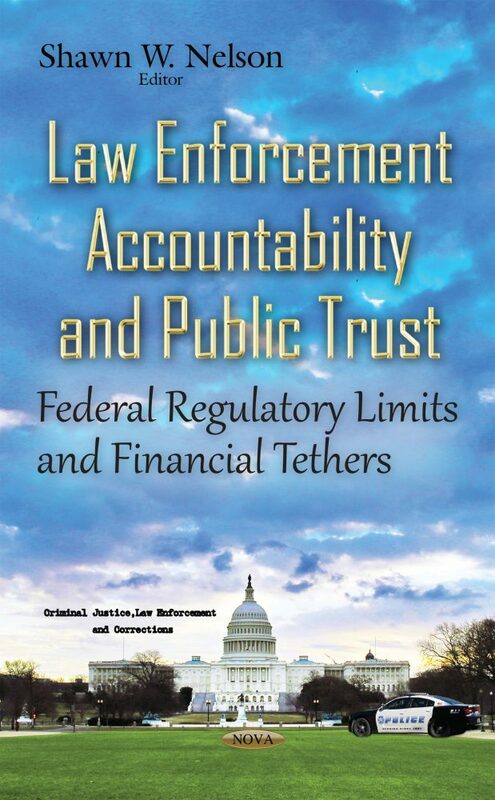 This book provides a brief overview of police-community relations and how the federal government might be able to promote more accountability and better relationships between citizens and law enforcement. It examines several constitutional principles relevant to the extent to which the Constitution permits the federal government to regulate the actions of state and local law enforcement and judicial officers and applies them to the various legislative proposals. Furthermore, this book provides background information on the Edward Byrne Memorial Justice Assistance Grant (JAG) program; discusses community oriented policing services; reviews federal support for local law enforcement equipment acquisition; and addresses police misconduct laws enforced by the Department of Justice.